What Makes a Drug Rehab a Holistic Drug Rehab? Holistic drug rehab is one of many therapeutic styles of drug rehabilitation. Holistic approaches towards drug addiction recovery and substance abuse treatment is all about teaching patients how to protect and heal all areas of their health. This includes the mind, body, and spirit. Such programmes are focused on helping people stop using alcohol or drugs by healing the totality of their body and mind rather than concentrating on just one part or another of their health problems. Individuals struggling with addiction are typically unaware of the underlying causes of their drug usage. Therefore, a holistic programme that focuses on improving and maintaining all three areas of health has the best chances of helping someone kick the bad habit. There are various reasons why people turn to alcohol and drugs. Genetics: The link between addiction and genetics is strongly debated to this day. From 40 to 60 percent of addicts have a predisposition to addiction because of genetics. Gender can also play a part. Researchers have actively been searching for the ” addiction gene” although environmental factors are seemingly more in play. Environment: There’s also an argument for Nature versus Nurture when it comes to addiction. Is it purely genetics or is it about the environment? When drug use is normalised at home or at school, you’re likelier to use drugs as well because you’re being “nurtured” to do so by your environment. Our Brain and Body: Dopamine is the neurotransmitter that signals the brain to keep doing what you’re doing. Drugs that flood you with dopamine can also alter your brain chemistry for the worst, leading to addiction. Withdrawal is also a problem that keeps you hooked on the substance you’re addicted to. It’s your body’s way of saying it needs the substance you’re quitting to use. Our Support Systems and Treatment Experiences: People who are addicted to drugs may develop strained relationships with their family and friends. Because they lack support systems, they might end up making drugs the only “true” friend they have. Patients with addiction are unaware which areas of health they’re attempting to manage through drugs. As such, a holistic programme that focuses on all areas of health can help kick the habit. Holistic healing helps you get to the root of the substance abuse problem because it addresses what probably caused you to get addicted in the first place. Thusly, you’re more likely to stop using drugs or alcohol because you’re now addressing your health issues in a constructive and sober manner. There are many reasons why people turn into addicts. It is a combination of genetics and environmental factors. The result is the same, though, which is an altered brain structure. No one chooses to be an addict. 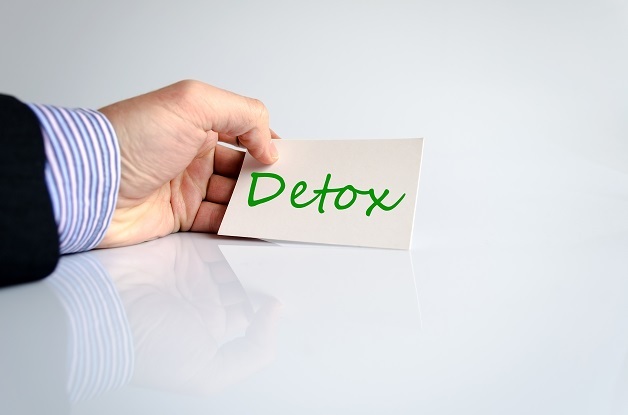 Detoxification with a holistic programme is also a bit different compared to standard rehab programmes or platforms. This means some rehab might not include medications with detox that ease uncomfortable withdrawal symptoms. 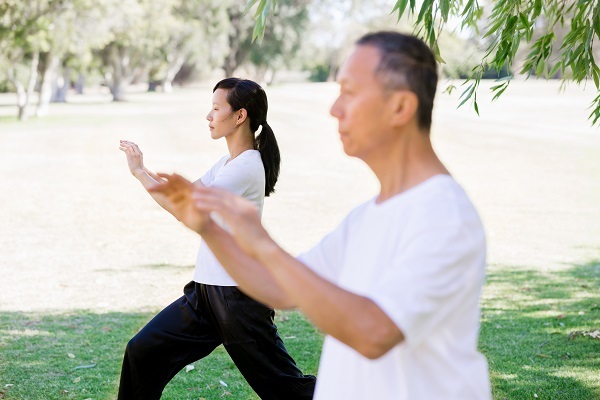 The holistic rehabilitation programme has the philosophy or belief system that all three areas of health are interconnected. A disease in one area of health can affect your other areas of health. Address All Aspects of Health: You need to address your mental, physical, and spiritual (or, to be more secular, emotional or social) health in order to overcome your substance addiction in every which way. Dealing with Bad Influences: The intention of holistic healing is to heal every area of health so that you can resolve the main issues influencing your substance abuse outside of physical addiction. Holistic Healing of the Reasons for Addiction: All the reasons why you could be addicted are dealt with so that you won’t feel the need to self-medicate. Replacing Drugs and Alcohol with Holistic Healing: Going with a holistic programme ensures that every last area of health is healed so that you can continue to stay sober. Most any drug or alcohol addict can benefit from getting rehabilitation assistance from a holistic rehab centre. Your only requirement to attend this type of rehab is a willingness to achieve and stay sober. Most holistic programmes are formatted just like traditional programmes but with extra benefits added. You have all the same treatment options but this time with additional focus on the three different areas of health. For instance, holistic rehab programmes include trained therapists on its staff to offer daily individual and group therapy sessions. They also offer support groups on the centre itself. However, the difference lies with their better categorisation and division of services in accordance to your three areas of health to ensure that all of these areas are met. These programmes are then augmented or added into a more holistic system of healing that covers all aspects of an addict’s health. Location: The centre has a scenic location in the mountains or beside a lake or the ocean to ensure seclusion and calmness that affects your mind and body health. This will keep you from being distracted. Alternative Psychotherapy: You’ll be given standard psychology therapy sessions on top of alternative types of psychotherapy involving art-assisted therapy, music-assisted therapy, or animal-assisted therapy. Complementary Therapy: Complementary therapies from Complementary or Alternative Medicine (CAM) Medicine like acupuncture or massage should help to physically reduce your issues with stress from attempting to rehabilitate yourself from addiction. Meditation Sessions: You can mentally, physically, and spiritually calm yourself through prayer, breath-work, stretching, and yoga sessions. These are also mainstay CAM treatment activities. This will help keep your mind focused and your body active. Physical Activities: Your body will be kept healthy through a myriad of physical activities such as swimming, mountain climbing, hiking, or biking. You will not be left leading a sedentary lifestyle in a holistic rehab centre. Counselling Sessions: The best holistic programmes should do more than most other rehab centres. They should have a high ratio of staff-to-clients. They should also have intensive individual therapy involving weekly counselling sessions and smaller group therapy sessions so clients can get more time with their counsellors and staff. Clinical Team of Experts: The physical health of the patient should also be addressed by a highly trained and qualified clinical team of specialists dealing with drug and alcohol addiction as well as issues like personality disorder, anxiety, sleep disorder and so on. Diet and Menu: Even your diet will be made holistic by giving you all-natural or organic meal plans. The healthier you eat the less you’ll depend on substances like drugs and alcohol to meet your perceived mental or actual nutritional deficiencies. The holistic centre should have nutritional interventions and plans. Like with any other rehab programme, you should know what to look for when trying out a prospective holistic rehabilitation service. There are certain things you should use to better evaluate a rehab centre carefully to ensure it’s the right holistic therapy for you. You should consider the following frequently asked questions and their answers when looking at these programme types. What Are the Treatment Options Available? You should pick a holistic programme that doesn’t only hit all aspects of health but has a wide range of treatment options to do so. After all, not all therapies or treatments work equally well for all sorts of addicts. Some might gravitate better to meditation while others might get more out of psycho-education in order to overcome their addiction to popping pills, drinking alcohol, or illicit substances. The beauty of a holistic healing facility comes from its shotgun or Swiss Army Knife approach towards rehab. This allows its staff and crew to better tailor their programme to the needs of the individual. Ask the types of therapy and activities offered in a given centre. Know whether all the activities are required or not. How Long Does the Holistic Programme Last? You should be able to choose several options for programme length. You can experience significant recovery with a 30-day or 60-day addiction rehab option. Then again, there are addicts who fare better with long-term treatment that follows them all the way to the end of the treatment, when they’re out of the rehabilitation centre (aftercare). Find out whether you can go with a short-term inpatient programme and then extend your stay as required by the severity of your addiction. Treatment outcomes for drug and alcohol addiction rehabilitation tend to improve when you receive 90 days or more of effective holistic therapy with the necessary aftercare follow-up. Where Is the Holistic Healing Centre Located? Like with real estate, a rehab centre’s effectiveness can be affected by “location, location, location”. Learn about the specific setting and how far away the centre is from where you live. Sometimes, the more secluded you are the better the results of your treatment will be because you’re kept far away from the triggers that led to your addiction in the first place. Maybe it’s best that you end up in another country, even. Then again, if the rehab is farther away than you’re comfortable with, then you need to weigh in on the potential benefits of such a programme versus travel costs and distance. Then again, medical tourism does have special packages to ensure cost-effectiveness. If you have strong sobriety support within your community, then go with a local option. How Much Does the Holistic Rehab Cost? Most holistic services for addiction rehab go the extra mile in terms of the number of services offered and the quality of the luxury accommodations available. As such, they can be quite expensive with their wide range of cutting-edge or complementary therapeutic activities, delicious food, and picturesque locations. Avail of medical tourism packages to save money. You can also get a written cost breakdown between several different prospective programmes to see which ones are the most affordable for you. The ability to opt out of activities and the acceptance of health insurance can further help you in saving your money. However, some of the best programmes can have affordable package deals that ensure you won’t have to opt out anything while still keeping their costs down. What Are the Credentials of the Staff? The staff and counsellors of a given rehabilitation facility should have extensive experience in not only training with substance abuse disorders but also in holistic treatment of such conditions. They should never neglect one or more aspects of the addict’s health in order to give him the complete rehabilitation package he deserves. The counsellors, sponsors, doctors, and nurses of a given facility should be able to understand how to treat these different types of problems. They must know when group therapy is called for or when dual diagnosis should be applied. Additionally, take into account the staff-to-client ratio to ensure that patients get sufficient attention during treatment. What Kind of Follow-Up Care Is Available? The success of your holistic therapy for addiction also depends on what’s done after the rehab period is over. Does your holistic therapy rehab centre offer an aftercare plan as part of its holistically augmented framework? A good holistic rehab facility should follow up on your status after you leave it. Most rehab centres offer resources on support groups and sober living therapy. Your holistic rehab of choice should have a programme available when it comes to assisting you in reintegrating yourself to society. It should help teach you how to maintain your sobriety and deal with the triggers in your life that led you to alcohol and drug addiction in the first place. Is the Facility Accredited? The holistic facility should have accreditation from the state, county, or country it’s from, especially if you’ve decided to go overseas in order to get addiction rehabilitation from an affordable luxury rehab centre from places like Europe and Asia. For example, every state in the U.S.A. has an accreditation body that categorises and supervises different facilities for substance abuse disorder treatment. When a facility is accredited by state or by nation, it usually means it follows high standards in order to operate with accreditation. It has gotten the license to operate because the governing body oversees its operation, ensuring that the centre complies with federal and state treatment regulations depending on the given jurisdiction. The most reputable of facilities choose to acquire accreditation from a national rather than regional or state programme, at that. Does the Rehab Centre Possess High Ethical Standards? Your rehab centre or facility should also possess high ethical standards. This ensures that the staff of counsellors, doctors, and nurses will strive for the long-term recovery and success of their clients. They’re not just concerned about getting patient money with little to no results afterwards due to a business-first mindset. The centre should care about the aftercare and individualised therapy of patients as well rather than just the rehab period they paid for. A highly ethical rehabilitation centre should have personnel that are motivated by helping others. They should focus on helping you get back on track with your life, provide you with guidance and support, and help prevent relapse post-treatment. Holistic healing in the context of drug rehab is all about combining different methods in order to service the addict’s different needs on his road to recovery. It’s the total package because it hits on different aspects of the patient’s health. These programmes are considered alternative treatments because they’re the alternate methods available compared to the traditional model of rehabilitation. Speaking of which, traditional rehab models typically include support groups, 12-step sobriety programmes, and psychotherapy. In contrast, holistic therapy is more concerned on addressing you as a whole, from the mind to the body as well as to your spirit. There are quite a number of addiction treatment centres that include holistic treatment techniques as well in light of their effectiveness. There are even holistic programmes that enable you to opt out of non-traditional activities like meditation or alternative therapy depending on your comfort level. Make sure that the treatments used on you by the rehabilitation facility are shown to be effective and evidence-based. After all, the primary driving force behind holistic therapy is giving the patient the total package of treatment that includes addressing the potential causes of addiction in the first place. The Dawn Medical Rehab & Wellness Centre is an affordable luxury rehabilitation facility that offers high-quality, luxury accommodations, state-of-the-art equipment, and modern treatment techniques with proven results. Its highly qualified clinical team employs CAM therapy and holistic treatment for your mental, physical, emotional, and spiritual health. Contact The Dawn Rehab in Thailand today in order to get a free consultation and learn more about their relapse assurance policy.